Next week is World Antibiotic Awareness Week, and its focus is on seeking advice from a qualified healthcare professional before taking antibiotics. 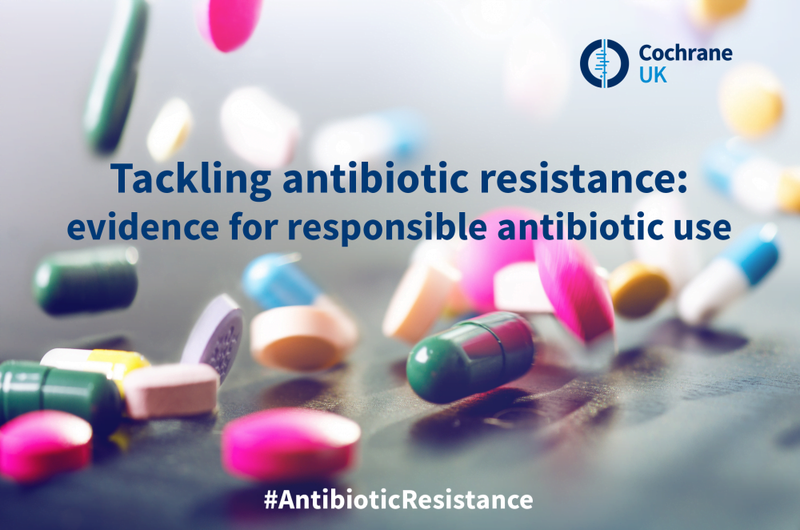 We will be sharing blogs and blogshots throughout the week, looking at the wider problem of antimicrobial resistance and on Cochrane evidence for decisions about antibiotic use. Here, Samantha Gale, Cochrane UK’s Public Health Fellow, gives a brief introduction to antibiotic resistance. What is antibiotic resistance and why is it a problem? Before Fleming accidentally discovered penicillin in 1928, there was little doctors could do to treat infections caused by bacteria. Common conditions such as syphilis, gangrene and TB were incurable and often led to death. Penicillin, the first true antibiotic, transformed medicine. Doctors could now quickly and easily treat these infections, saving the lives of millions of people. Many other antibiotics followed, each finding a way to either kill bacteria or stop them from multiplying, and earning a place in medicine’s armoury. However, ever since we started using antibiotics, bacteria have been fighting back. Many bacteria have developed techniques to counteract our antibiotics, such as not letting the antibiotic in, pumping it out, destroying it, or changing the shape of the antibiotic target rendering the antibiotic ineffective. These mechanisms can make the bacteria resistant to different antibiotics. The number of infections where bacteria are resistant to at least one antibiotic has been increasing. We’ve also seen the emergence of bacteria that are resistant to almost all of the easily available antibiotics, for example, MRSA (Methicillin Resistant Staphlococcus Aureus), multi-drug resistant TB (MDR-TB) and vancomycin-resistant Enterococcus (VRE). These can cause serious, life-threatening illness and are difficult to treat. As our antibiotics become less and less effective, infections become harder to treat. Without action, we could return to the days of not being able to treat common or life-threatening infections. Where does antibiotic resistance come from? In a big group of bacteria, a few individual bacteria may naturally have resistance to an antibiotic. However, when that antibiotic is used to treat the infection, the resistant bacteria survive and multiply. Antibiotic resistance is therefore driven by the use of antibiotics. In fact, each time a new antibiotic is introduced, we discover bacteria that are resistant to that antibiotic within a few years. Antibiotics only work on bacteria. So, when we use antibiotics for viral infections, such as flu and the common cold, they don’t work. Furthermore, they contribute to antibiotic resistance. This is why antibiotics should only be used for bacterial infections. Appropriate use of antibiotics doesn’t just apply to humans. Animals also need antibiotics to treat infections. However, in agriculture, antibiotics are sometimes used to prevent infections and to promote growth. If the same antibiotics are used for animals as for humans, overuse of antibiotics in animals affects humans too. Samantha is an ST4 public health specialty registrar in the Oxford Deanery. 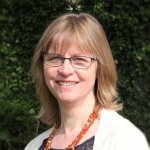 She is currently undertaking an update of a Cochrane systematic review with the Cochrane Tobacco Addiction Group and is CUKI Trainee Advisory Group Secretary. Samantha graduated from Cambridge University in 2010. After completing the Foundation Programme, she was awarded a Rotary Ambassadorial Scholarship to study a Masters in Public Health at the University of Hong Kong, where she was awarded the Professor Anthony J Hedley Scholarship for Master of Public Health, a HKU CEDARS Gold Award for volunteer work, and graduated with Distinction. She returned to the UK and started training in paediatrics before deciding to train in public health. In between, she worked as a Clinical Educator at the University of Buckingham Medical School and obtained a Postgraduate Certificate in Medical Education. She is still involved in teaching and medical education research at the University of Buckingham. Thank you. Very informative. I am an admininistrator in a social media group called Dr’s file on facebook. A very worrisome trend how much particularly in Africa antibiotics are easily available on market, even accessible without prescription and also how common ailments are treated using strong antibiotics (cephalosporins). Please may I share these blogs to highlight this issue in my group. We have about 29 000 followers mostly in southern Africa. Hello Gladys, you are welcome to share the blogs and we hope people find them helpful.